In a previous tutorial I showed how to control the position of the webcam and capture the image on the browser link and here control the camera. Now we will expand this project and build a car with 4-wheel drive (controlled like a tank – differential steering ). Check out the video tutorial for more details of all the steps. 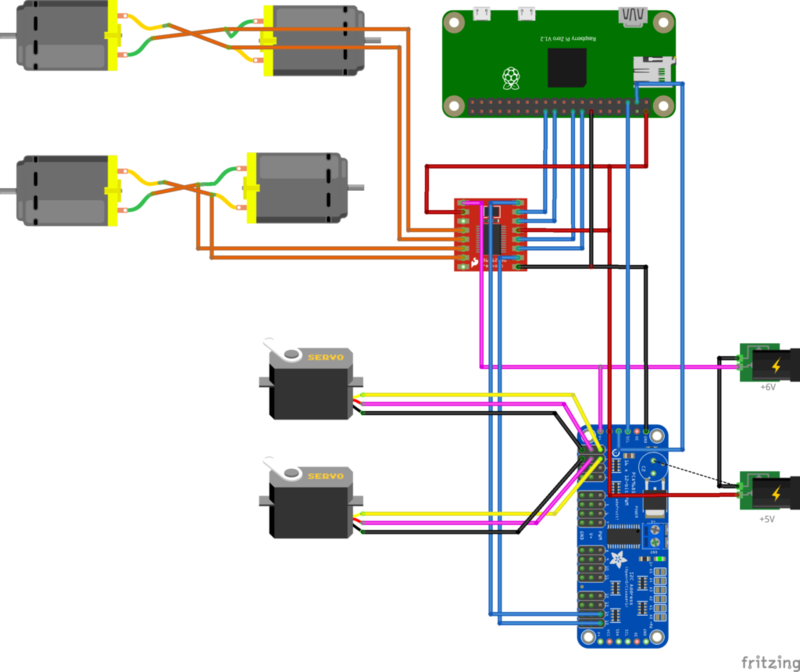 Via the I2C bus RPi controls the servo controller, the two last controller’s outputs are connected to the H-bridge, and the PWM signal is used to set the speed of the motors. 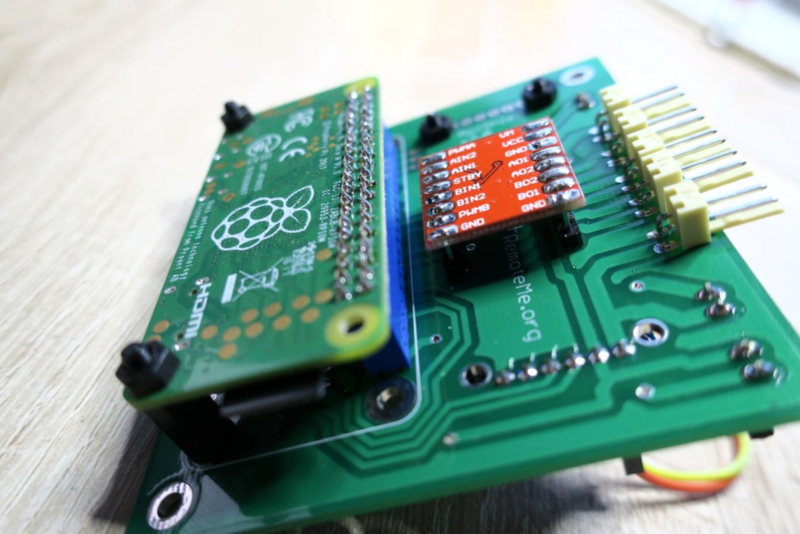 The RPi-pins are also connected to the H-bridge. The states on the appropriate pins will determine the direction of rotation of the motors. 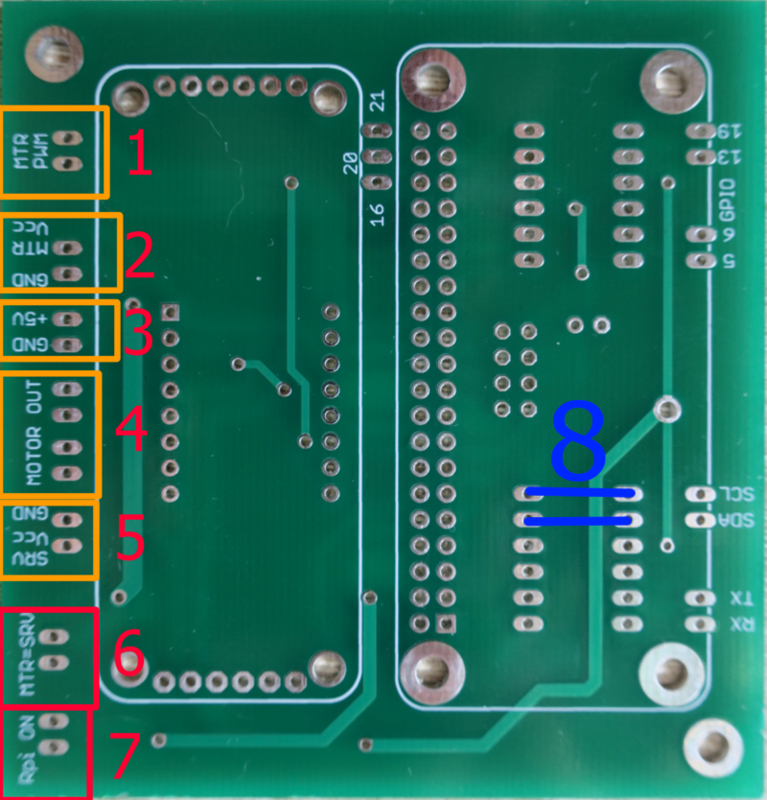 – I refer to the TB6612FNG documentation for details. You might as well use the L298N bridge or similar. 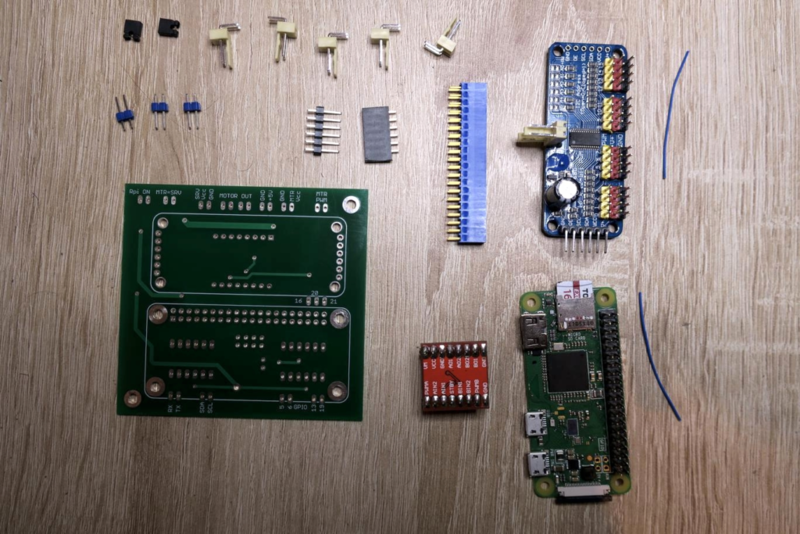 Of course, you still need the right power supply, I connect the 6v to the drive and servo motors, and 5v for RasbeprryPi and controllers. I used plastic spacers to connect the tiles to the car. After clicking “Get QR” you will see a QR code that you can scan with your smartphone, or simply open the page with the “Open” button in the browser on your computer. 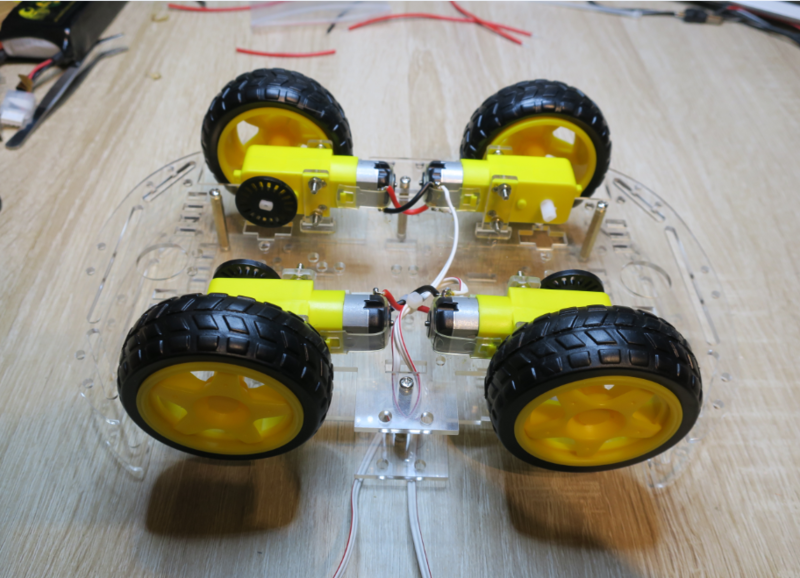 The car should drive like in the video above – it can happen that it turns in the wrong direction or the servos are badly calibrated, below in the discussion of the code I wrote how to fix it. As you noticed, creating the project was highly automated. Therefore, I will now discuss what exactly happened and how to modify your project. Variable cameraPos transmits camera positions and joystick positions. Both are the type “Small int x2” which means that the value of a variable is two integer numbers. The Python script was automatically uploaded. Of course, we can preview and modify it (to create a new Python script eg for other projects see here). With the information you need now, the Python script is another device in remoteMe is managed by a script (run by ./runme.sh), we can send messages to this device, the device also reacts to changes in variables that it observes and can change these variables . the setMotor function for motorId 1 or 2 sets the speed (can be negative). 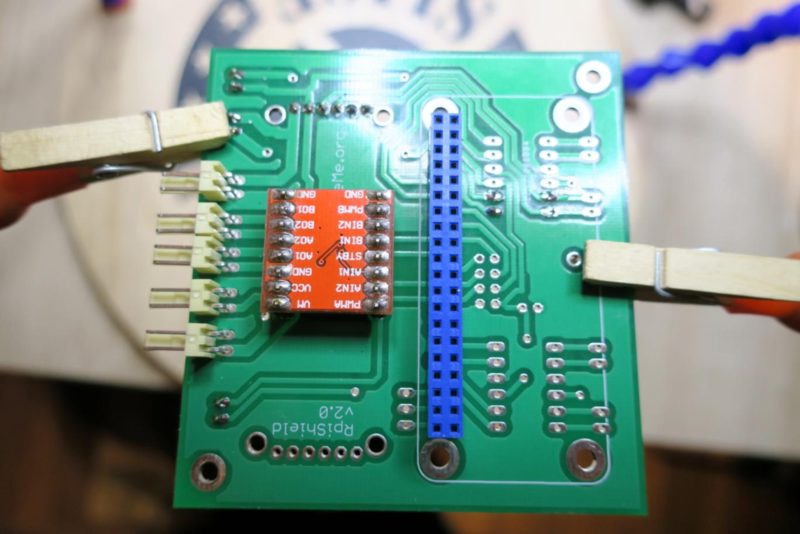 Just on the appropriate pins we set the states accordingly (forward and backward movement), and then depending on the speed, set the PWM filling accordingly using the servo controller. so far, we will not discuss it, because earlier we have to change the range of servo traffic. this function will be called as the variable drive changes – eg after changing the joystick on the page. x, y is just a joystick’s coordinates Based on these variables, we calculate the speed of the left and right side of the car. give the cons in different combinations (in X and/or Y place ) until the car moves forward – when the joystick is tilted up. Then, if the right and left sides are swapped, in the above function, swap left and right places. RemoteMe configuration and setting which functions are to be called when the variables for camera and drive control are changed. A web page opens with two sliders. Set the top and bottom to the middle position – the camera will move – the upper slider should move the camera in the x-axis, the lower y-axis. If it is not the case, swap the servo signal wires. These are automatic components for controlling the car and displaying video. The page you have opened already contains the components you need to control your car. The only thing you need to do is change the range of motion for servo mechanisms so replace the values of xMin, xMax, yMin, yMax, values you received on the previous page with the sliders. 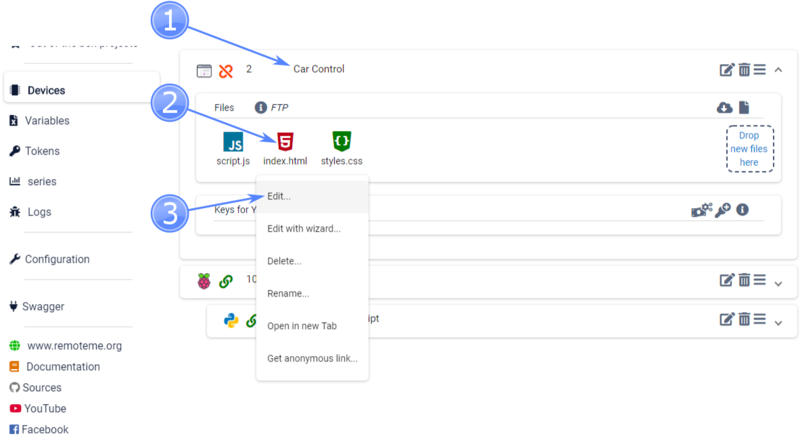 If you want to create your own website with your components, it is best to create it from the beginning shown here – it will allow you to add components in an easy wizard where you can set the necessary parameters. Or just edit the source of this page – it’s worth creating a copy before if something went wrong :). After changing the value of x / yMin / Max, we can open our website eg on a smartphone, click on index.html, but this time we choose the options to get anonymous link Next, click the QR code icon, and the code that appears scan by a smartphone. 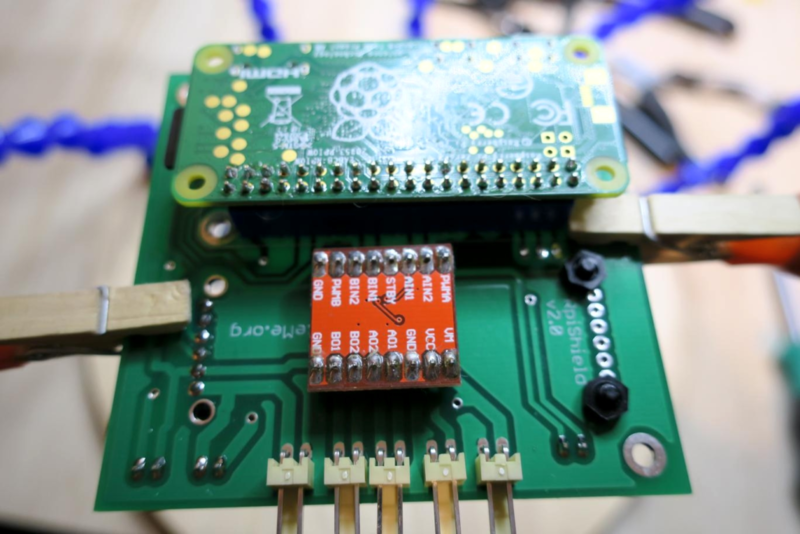 The program on Raspberry Pi which you run with the ./runme.sh command creates a websocket connection with the RemoteMe platform and manages the Python script (sends messages to it from the script to the platform etc). The operation of the Python script is possible thanks to the additional RemoteMe libraries (located in the leafDevices/base/ directory). which will send information about the variable change to the Python script, we also control the engines by setting the appropriate variable.